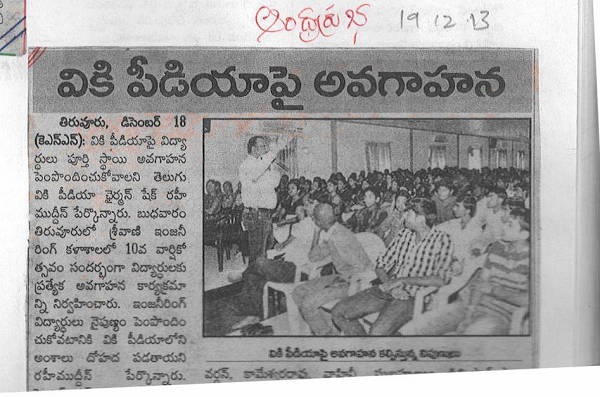 About 150 - 200 people attended in each of the two sessions. 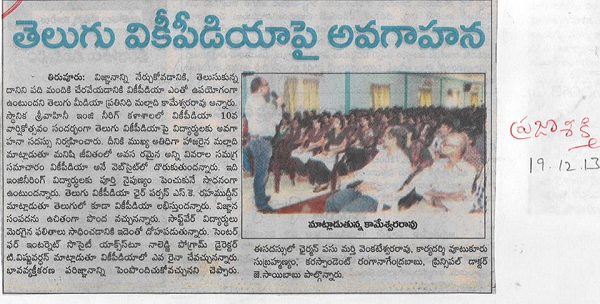 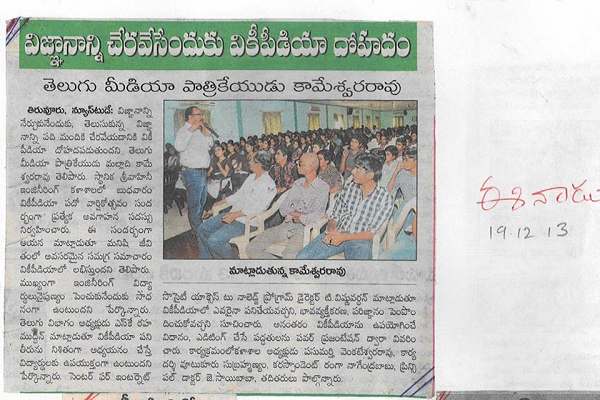 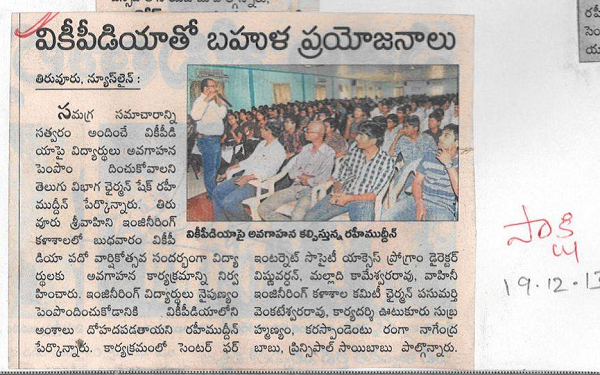 The event was co-organised by CIS-A2K and the Telugu Wikipedia community. 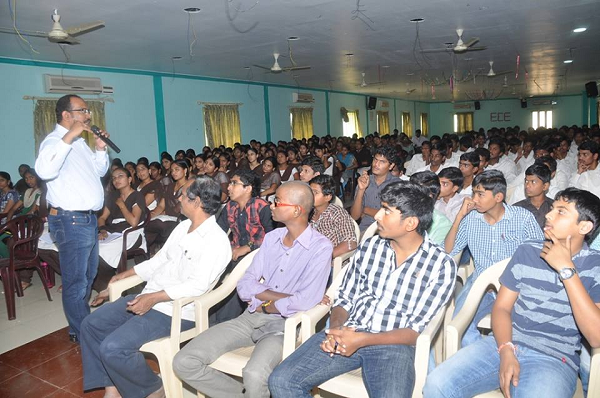 Above: T. Vishnu Vardhan addressing students at the Srivahini college in Tiruvur.